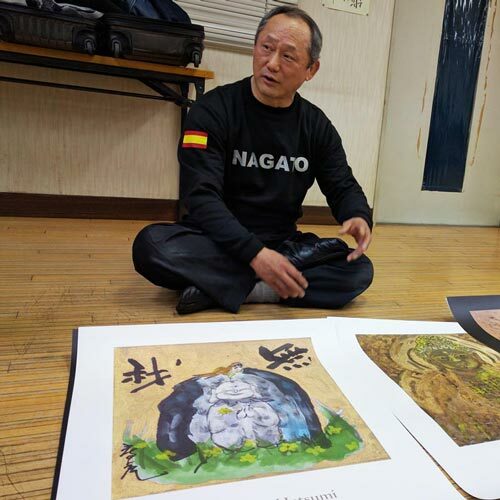 "Masaaki Hatsumi: Art Prints" — 13 archival quality prints. 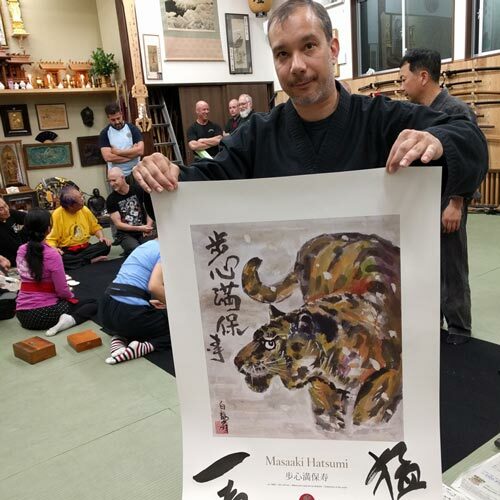 13 prints featuring paintings by Bujinkan Soke, Masaaki Hatsumi. 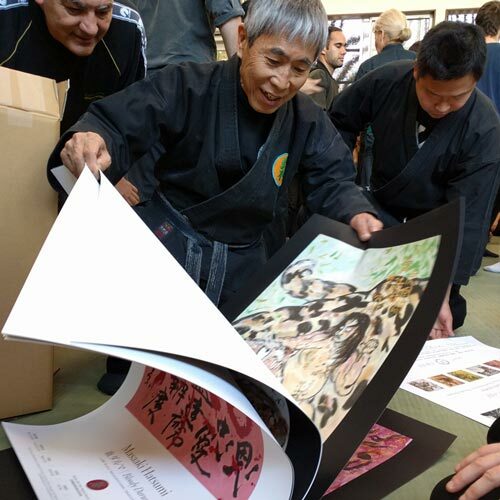 Our prints were professionally photographed and color-corrected, printed by one of the industry’s most respected printers, and produced by our award-winning designer. Each print is on acid-free, archival quality paper, made to last 100 years. 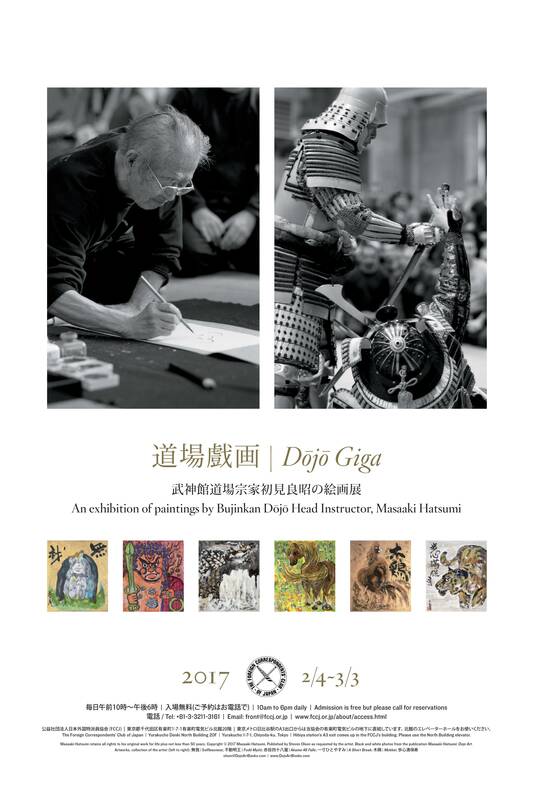 Every set of 13 prints includes one hand-numbered, limited edition, Dojo Giga Exhibition Print. 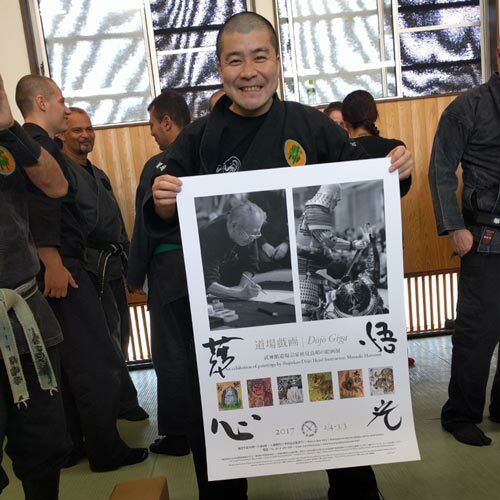 This exhibition print features the date and location of Sensei’s first Dojo Giga art exhibition. We only made 500 of these exhibition prints — a great collector’s item. Get yours while supplies last. 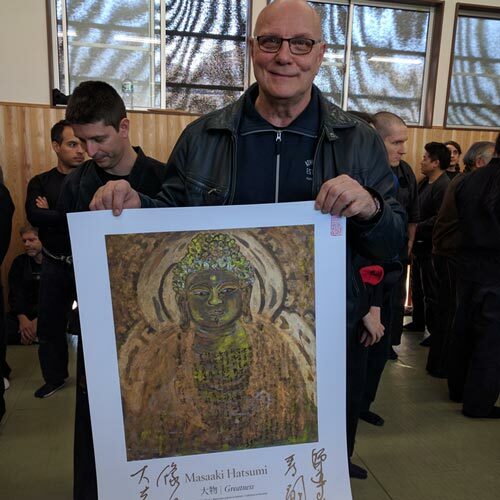 In this interview, Hatsumi Sensei discusses the 12 paintings featured on our prints and he comments on how we could experience his art. Consider these thoughts as you contemplate the art in your prints. Our prints are available as a set of thirteen. At $30 each x 13 prints, the price is $390 (plus $30 shipping). This is a great price for high quality prints. Keep them all for yourself, or use some as gifts. Our prints are available in 2 sizes: Arch D (24 x 36 inches) and A1 (594 mm x 841 mm). These are standard commercial paper sizes, so finding a variety of frames at great prices will be easy. (We recommend Arch D for North America). Your prints will all be the same size so they’ll all fit the same frame. 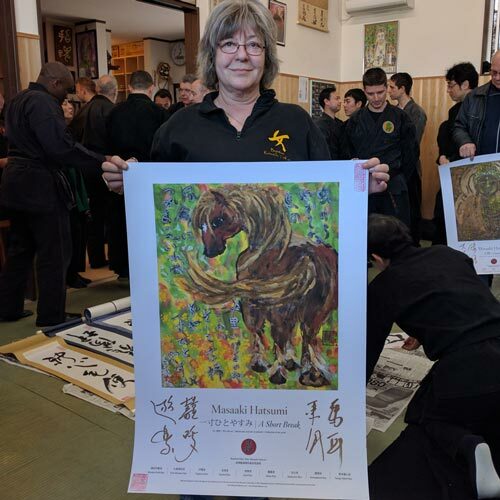 With just two frames, you could show the exhibition print year round in one and with the other, you could display a different print every month! Plus $30 shipping (to US / Canada only).